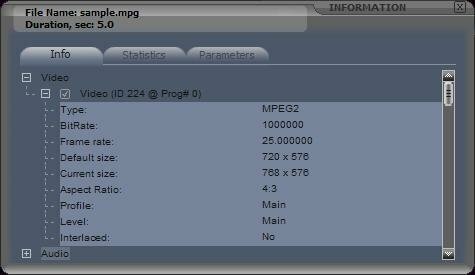 Elecard MPEG Player is DirectShow® compatible software providing high resolution, full quality decoding of MPEG-1, MPEG-2, MPEG-4 SP/ASP, AVC/H.264, HEVC/H.265, 3GP files and streams. With its decoder optimized for the most efficient CPU usage, Elecard MPEG Player is a great choice for those who strive for high performance and robustness using low power hardware. Reliable support of a number of common multimedia formats such as AVI, WAV, MP3, MOV, and others greatly benefits all Elecard MPEG Player consumers by bringing all the richness and excitement of HD DVD into their homes. DXVA support in Elecard MPEG-2 Video Decoder significantly decreases CPU usage and provides substantial performance gains.